Deal Of The Week – Android 4.2 TV Box "Warp"
Only 7 days left to get this deal of the week! Are you looking for a way to turn your HD TV into a smart TV and enjoy Android power right from the comfort of your sofa? If so then for sure the Android 4.2 TV box “Warp” from Chinavasion is a perfect choice! With 1.2GHz Dual Core CPU, 8GB Internal Memory, 3x USB Ports, Android 4.2 OS system, and more the “Warp” Android 4.2 TV box can completely meet all your requirements yet still at an affordably low wholesale price. And with 35% off the original wholesale price, this is the perfect time for you to hit “Add to Cart” now. 1.2GHz Dual Core CPU – Equipped with a 1.2GHz Amlogic 8726-Mx Dual Core Cortex-A9 processor, the “Warp” will run several apps quickly and efficiently at the same time. 8GB Internal Memory – Plenty of internal storage, the “Warp” is able to store all you media directly onto the TV box so it is easier to find for later viewing. All the Ports You Need – With the 3x USB ports which can be directly connected to multiple devices such as a portable HDD or a mouse/ keyboard, a LAN port, and a SD card slot makes the “Warp” extremely user friendly. 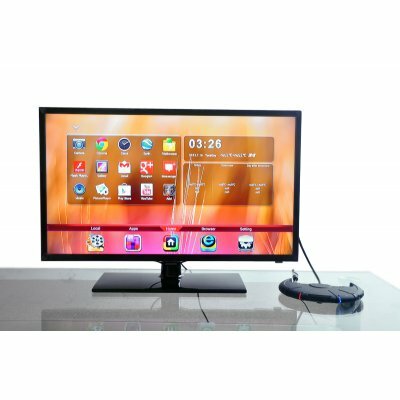 Direct Connection to your HD TV – Connecting this Android 4.2 “Warp” media box to your TV, then you can enjoy viewing your favorite YouTube videos, listening to music, playing games, surfing the net and even commenting on Facebook. Check out the Android 4.2 TV Box “Warp” right now!